Former UK telco monopoly BT has announced it has chosen the UK’s biggest mobile operator – EE – for exclusive acquisition talks, having previously conceded it was looking at O2 or EE. If the deal goes through BT would occupy a dominant position in the UK telco market as it already owns substantial fixed-line assets as well as a significant chuck of exclusive content and some 4G spectrum of its own. The exclusivity of the talks with the co-owners of EE – Deutsche Telekom (DT) and Orange – will last several weeks, but even if the three companies come to an agreement that will be just the start of the process as UK telco operator Ofcom is likely to be all over this move. In its announcement BT made its multiplay ambitions clear. “The proposed acquisition would enable BT to accelerate its existing mobility strategy whereby customers will benefit from innovative, seamless services that combine the power of fibre broadband, wi-fi and 4G. BT would own the UK’s most advanced 4G network, giving it greater control in terms of future investment and product innovation,” it said. The proposed price for EE is £12.5 billion in cash and shares. DT would get 12% of BT shares, while Orange would get just 4%. Since EE is a 50/50 joint venture between the two, this implies Orange has opted for more cash, while DT prefers a bigger piece of BT, which currently has a market cap of £32 billion. DT’s stake would be valued at around £4billion at today’s prices, implying it’s getting around £2 billion in cash. Orange will only get a billion or so of BT stock, but around 5 billion in cash. Insiders speculate that EE is probably worth around £8 billion, so this bid represents roughly a 50% premium, which seems high but is not unusual. 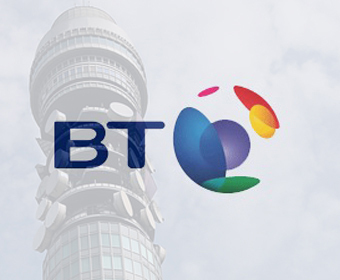 BT has claimed the usual “synergies”, which include flogging fixed-line services to EE customers and mobile services to BT customers, although it already has an MVNO agreement with EE. BT’s already formidable position in the corporate market will be strengthened further. However it’s precisely these synergies that are likely to have Ofcom on the edge of its seat for the next few months. Not only will the UK’s biggest fixed-line player be acquiring its biggest mobile one, but BT also has some 4G spectrum of its own. On top of this you have the fact that BT provides much of the backhaul for the other operators, and it’s unlikely Ofcom will allow the combined entity to hold such a powerful position over its direct competitors. In what are likely to be protracted negotiations between BT and Ofcom, multiple divestments are likely to be required, including some spectrum and possibly BT Openreach, which manages third party access to BT’s fixed network. The negotiations are likely to take months to complete and even if they do conclude with the deal going through, the conditions may end up being so severe it will be viewed as a Pyrrhic victory for BT, which will also require shareholder approval. Kendall stressed this move raises the multiplay stakes for the other UK operators, with Vodafone needing to consider acquisitions of its own, and raising the possibility of a a merger between O2 and Three, although even that combined entity would remain vulnerable if the UK market moves in a multiplay direction. Paolo Pescatore, analyst at CCS Insight, said: “We consider EE to be a more desirable asset for BT to own than O2 and thus view its move as a major statement of intent regarding its multi-play aspirations. More importantly however, it removes a converged rival from the market. Given that EE had multi-play aspirations of its own, BT will now face one fewer competitor. This is an ambitious move by BT; the UK’s dominant fixed-line player wants to spend a third of its market cap on the biggest mobile player. The resulting company – let’s call it BTEE – would have the potential to dominate the UK telco market, but that’s also a major reason why it might not happen. The resulting reduction in choice for UK consumers is likely to be of serious concern to Ofcom and the combined company is likely to have to divest significant assets. You have to wonder if BT shareholders will think think it’s worth it.